Egyptian security forces kill 22 suspected terrorists who were planning to target security forces in the North Sinai province. Egyptian security forces on Monday killed 22 suspected terrorists who were planning to target security forces in the restive North Sinai province, security sources said, according to Reuters. The sources said security forces struck a group of people meeting outside a mosque south of the town of Sheikh Zuwayed who were planning an attack on security points. They also targeted a vehicle with four militants and two more riding a motorcycle, the report said. Earlier Monday at least eight policemen and civilians were wounded when explosions hit two houses in El-Arish, the provincial capital of North Sinai, security and medical sources said. Terrorists had planted two bombs in two adjacent houses, both inhabited by police, the sources were quoted by Reuters as having said. The force of the explosions led to the collapse of large parts of the homes, injuring three policemen and five civilians. Egypt is facing a Sinai-based insurgency that has killed hundreds of policemen and soldiers since the military toppled Islamist President Mohammed Morsi in July of 2013. 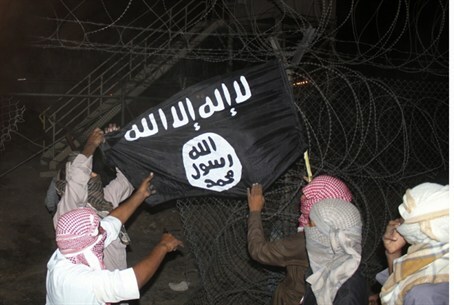 Sinai Province, a group affiliated with the Islamic State and formerly known as Ansar Bayt Al-Maqdis, has claimed responsibility for most of the terrorist attacks in the Sinai over the last few years. Most recently, members of the group killed two Egyptian judges and a prosecutor in the Sinai, in an attack which came hours after a court in Cairo sentenced Morsi to death for his role in a mass jailbreak during the 2011 uprising. The leader of Sinai Province later called on the group’s followers to continue to attack local judges.